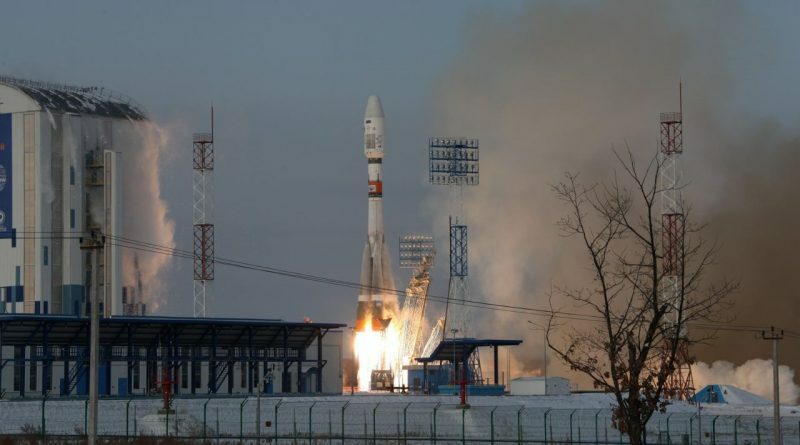 According to the Roscosmos State Corporation, the Soyuz 2-1B rocket functioned properly during its nine-and-a-half-minute climb and handed off to the Fregat upper stage that was tasked with placing the Meteor-M 2-1 weather satellite and 18 secondary payloads into orbit; however, no communications were received from the 2,750-Kilogram satellite after its scheduled separation from the booster. 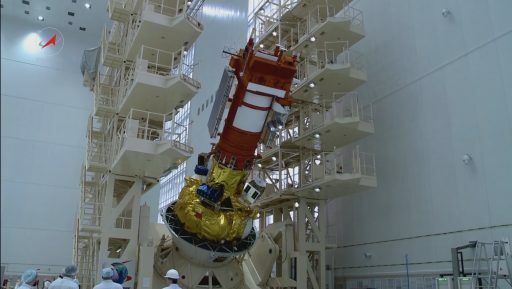 Press reports emerged in the hours after Tuesday’s launch claiming the Fregat upper stage was improperly programmed and fired its main engine while in a wrong orientation, resulting in the vehicle re-entering the atmosphere after half an orbit instead of reaching a preliminary orbit as the starting point of what was planned to be a five-hour, multi-orbit mission. While initial reports point to human error in programming the Fregat, Roscosmos said detailed analysis was underway to determine what exactly went wrong. 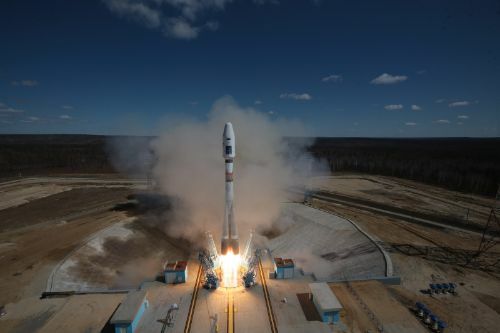 Tuesday’s Soyuz launch was only the second mission carried out from the Vostochny Cosmodrome, Russia’s ‘Eastern Spaceport’ in Amur Oblast that had opened its doors in April 2016 with a successful Soyuz launch carrying three satellites. 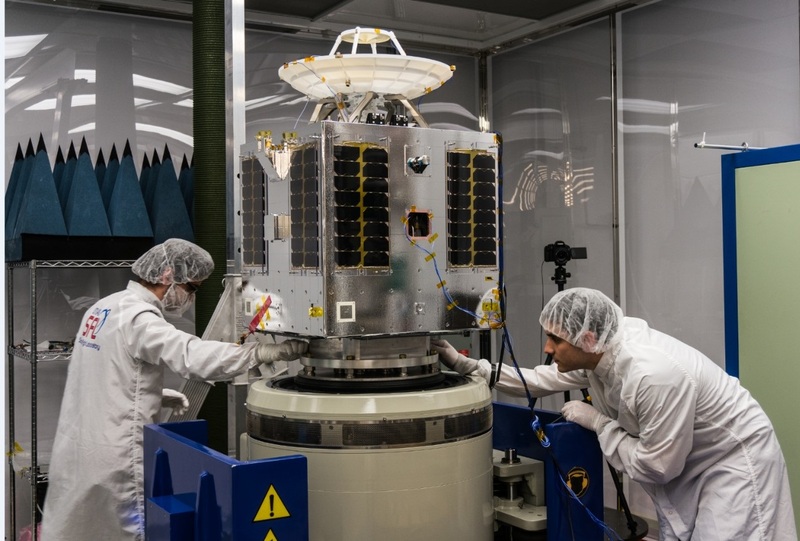 As operations slowly pick up at the new site, two launches were lined up for the closing months of 2017, the first with the Meteor-M 2-1 weather satellite and the second set for late December with a pair of Kanopus Earth Observation satellites. Vostochny was approved as a project in 2007 and construction began in 2011 on the grounds of the abandoned Svobodny Cosmodrome with an initial expectation of finishing construction in about seven years time. The primary driver behind Vostochny is a desire to move missions away from the Baikonur Cosmodrome in Kazakhstan that Russia leases for an annual payment of $115 million. With the Soyuz launch facility and general infrastructure already in place, Vostochny hopes to reach full operational status in the early 2020s when the Angara launch facility will be brought on line. 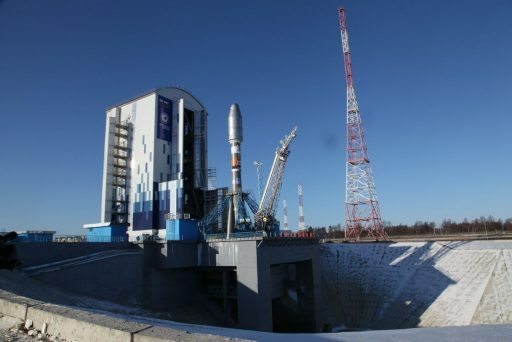 Eventually, Vostochny will host flights by Russia’s Soyuz successor for crewed missions but Baikonur will not be heading into decommissioning any time soon as the heavy-lift Proton is likely to fly into the late 2020s and Soyuz will keep operating for the foreseeable future as well. To that end, Vostochny was looking at a rather empty manifest with Tuesday’s mission coming over one and a half years after the inaugural mission from the Eastern Spaceport. 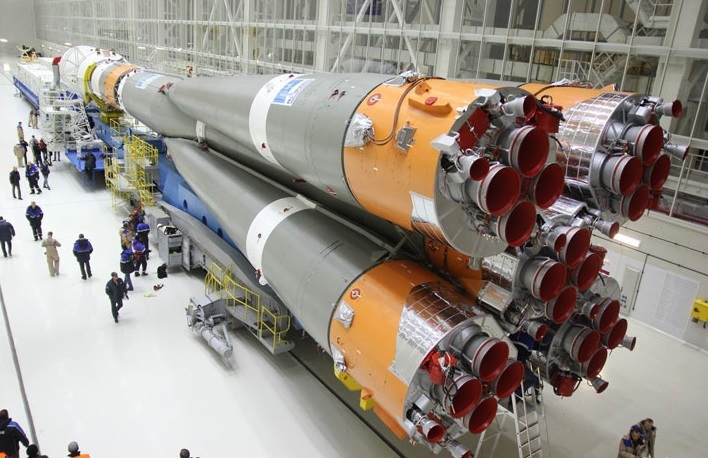 The Soyuz rocket for Tuesday’s launch was delivered to Vostochny on October 11 to undergo integration while the payloads underwent their separate processing campaigns. The primary payload on Tuesday was the Meteor-M 2-1 satellite, the second in the Meteor-M 2 series operated in Sun Synchronous Orbit to collect meteorological data using a suite of six instruments. Built by VNIIEM, the satellite hosted a Multispectral Scanning Payload for global and regional cloud cover monitoring and sea/land surface temperature measurements, a wide-field imaging instrument for cloud and surface monitoring capability across a broad swath, and a 29-channel microwave radiometer to collect atmospheric moisture and temperature profiles, refined by data from a hyperspectral infrared spectrometer which also collects data on atmospheric constituents. 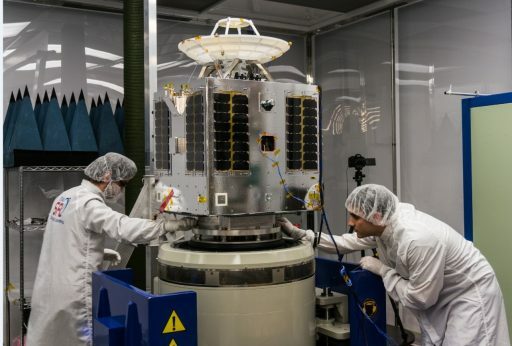 Meteor-M 2-1 was to join Russia’s latest generation of polar-orbiting weather satellites that started in 2009 with the Meteor-M 1 satellite followed by the improved Meteor-M 2 in 2014. Meteor-M 2 remains operational with some limitations for a subset of its instruments and Meteor-M 2-2 is scheduled for launch in 2018 – keeping impacts from the loss of the Meteor-M 2-1 satellite to a minimum. 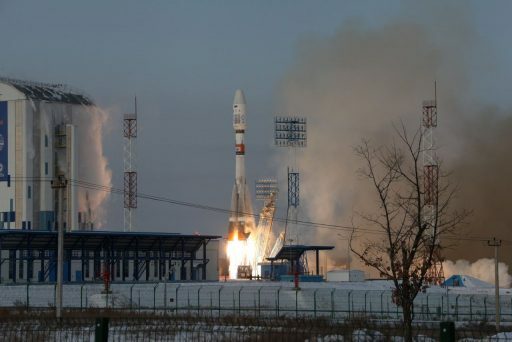 Meteor-M 2-1 was joined under the Soyuz payload fairing by 18 secondary payloads comprised of four MicroSats weighing 6.5 to 86 Kilograms and 14 CubeSats from four operators. Riding shotgun were the 86kg Baumanets-2 university satellite to demonstrate a new satellite platform and carry out space radiation and communications experiments; the 22kg IDEA OSG 1 satellite setting out to study the micro-debris population in Low Earth Orbit; the 70kg LEO Vantage 2 prototype satellite for Telesat Canada’s high-throughput satellite constellation; and the 6.5kg AISSat-3 to deliver global ship-tracking data. The CubeSats packed into deployers mounted to the Fregat stage were ten Lemur-2 satellites planning on joining Spire Global’s constellation of ship-tracking and atmospheric profiling satellites, the next two Corvus-BC satellites for the Landmapper constellation, the D-Star One communications satellite and the Small Explorer for Advanced Missions that debuted an electromagnetically-clean CubeSat platform for future science-grade CubeSat missions. Hosting a diverse payload group, Soyuz/Fregat was set for a fairly complex mission profile aiming for four distinct orbital regimes in an up-and-down flight design with seven Fregat burns over the course of five and a half hours. 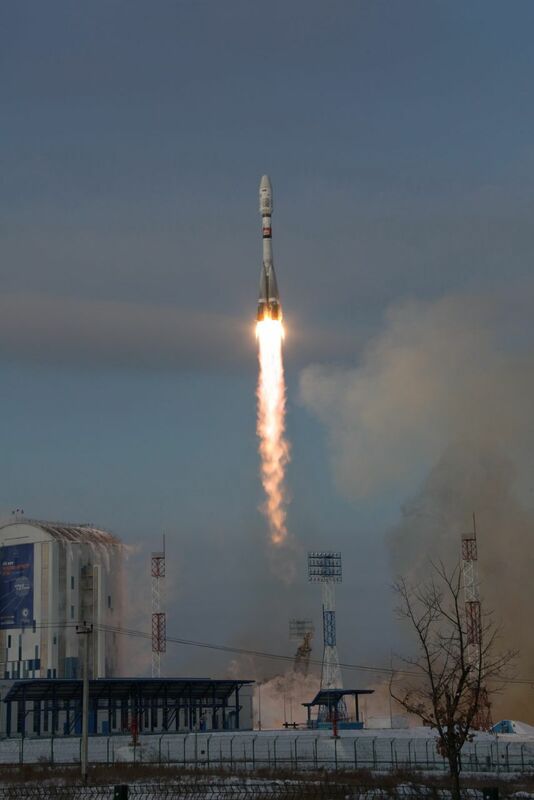 All appeared to go swimmingly on Tuesday with the 46-meter tall Soyuz 2-1B lifting off from the 1S launch pad at Vostochny at the instant of 5:41:45.965 UTC, racing into mostly clear skies with a thrust of 424 metric ton-force. Soyuz dropped its four liquid-fueled boosters one minute and 58 seconds after liftoff and continued towards orbit relying on its core stage alone, generating 102 metric tons of thrust to push the vehicle skyward. The 27.8-meter core stage dropped away in the typical hot-staging sequence four minutes and 45 seconds after launch with the modified Block I upper stage and its RD-0124 engine taking over powered flight duties for the next four and a half minutes. Having consumed 274 metric tons of propellant over the course of nine minutes and 23 seconds, Soyuz sent the Fregat-M upper stage on its way. Real time call-outs during operation of the Soyuz indicated the vehicle was performing nominally and dropped Fregat off as expected. Assuming control of the mission, Fregat was first tasked with stabilizing its orientation and conducting a propellant settling maneuver before firing up its S5.92 at T+10 minutes and 23 seconds for a burn of only one minute and 17 seconds to transition the stack from a sub-orbital arc into an elliptical transfer orbit peaking around 820 Kilometers in altitude. After that, Fregat was programmed to coast for half an orbit before firing the two-metric-ton engine at T+58 minutes for another minute-long burn to circularize the orbit to set up for Meteor-M 2-1 separation right at the T+1-hour mark. Around two and a half hours after Soyuz departed Vostochny, initial news emerged that something had gone wrong after Fregat separated from the booster. The first sign of trouble was silence from the Meteor-M satellite that was expected to check in with ground stations shortly after separation and send back status telemetry. The initial reports coming from Russian press outlets were conflicting as it was not immediately clear whether Fregat malfunctioned during its first or second burn which would have been the difference between no orbit at all or stranding in a lower than planned orbit with options to at least partially salvage the primary satellite. As the story became clearer, Interfax reported that Fregat was placed into an incorrect orientation for its first main engine burn due to a programming error, pointing the main engine to a wrong direction and bending its flight trajectory instead of building speed to reach orbit. The whereabouts of the Fregat-Payload-Stack were not immediately clear on Tuesday since the mission had been close to orbit at the point of Fregat separation with only a small supplementary burn needed to reach at least some orbit. However, no new objects were detected in orbit in the hours after launch and U.S. Space Command informed CubeSat operators waiting for tracking data that no objects were found. This is a strong indication that Fregat failed to reach orbit altogether, likely re-entering over the Atlantic Ocean after around half a lap around the planet. Fireball reports from Western Europe are unlikely to be in connection with Meteor’s untimely demise. Press reports quickly pointed to human error in programming the Fregat’s flight software, but confirmation of what transpired on Tuesday will only come after a thorough investigation by the involved parties including NPO Lavochkin, builder of the Fregat, and the Roscosmos State Corporation. Due to the partly commercial nature of the mission, additional information may come through Glavkosmos, provider of secondary payload slots on Soyuz, and commercial satellite operators that had satellites on this flight. Fregat has not had a perfect record in recent years. Its most recent failure came in 2014 when a Fregat upper stage left two Galileo satellites in an incorrect orbit because of a peculiar failure mechanism traced back to a Helium pressurant line installed too close to a reaction control system fuel line which froze and caused Fregat to lose proper attitude control. The weak point of pressurant and RCS lines in close proximity was eliminated and could not have played a role on Tuesday because, even if lines were at improper spacing, the issue would only arise after an extended burn duration. 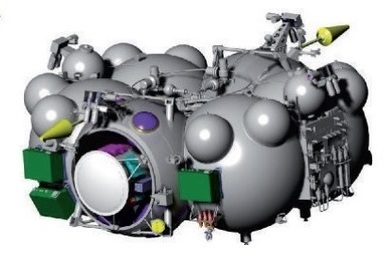 The Fobos-Grunt mission setting out in 2011 to return a sample from Mars Moon Phobos also failed because of a Fregat problem, being stranded in Low Earth Orbit because a modified Fregat propulsion module failed to complete the boost toward Mars. 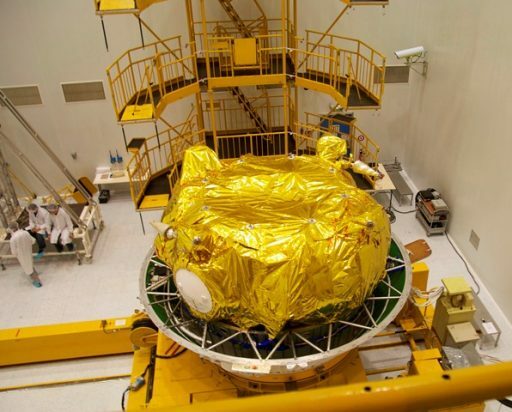 Fregat stages were also part of two Soyuz failures with Meridian communications satellites in 2009 and 2011, but were not implicated in the investigations following these failures. Impacts of Tuesday’s failure will likely be limited to Fregat, provided Soyuz can be fully exonerated based on telemetry reviews and trajectory assessments. 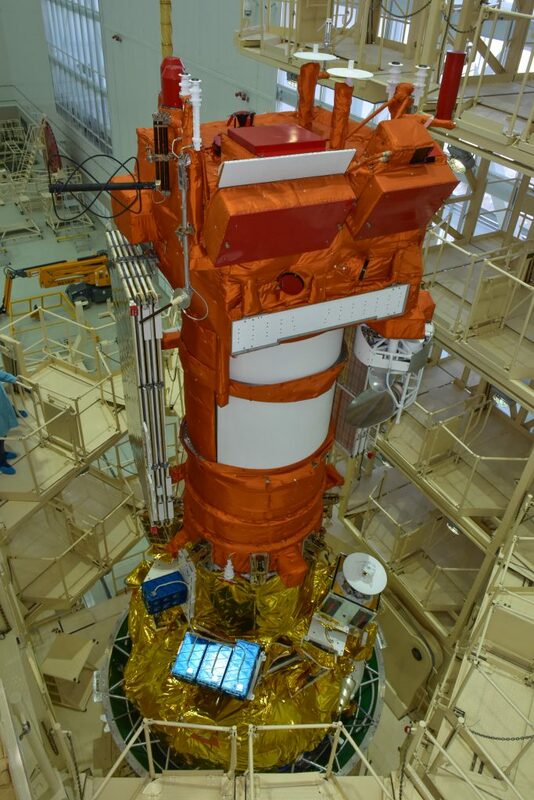 The next flight for a Fregat stage was planned for early December with a Zenit-3 rocket & Fregat-SB upper stage lifting the AngoSat-1 communications satellite, but that mission had already slipped to NET December 26 due to problems with the Fregat-SB.